A recent survey in China indicated the 12-month prevalence rate of depressive disorders was 2.5% in Beijing and 1.7% in Shanghai. These disorders may result in disability, premature death, and severe suffering of those affected and their families. This study estimates the economic consequences of depressive disorders in China. Depressive disorders can have both direct and indirect costs. To obtain direct costs, the research team interviewed 505 patients with depressive disorders and their caregivers in eight clinics/hospitals in five cities in China. 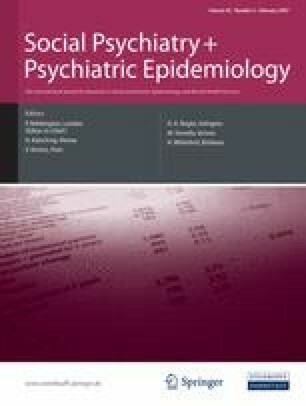 Depression-related suicide rates were obtained from published literature. The human capital approach was used to estimate indirect costs. Epidemiological data were taken from available literature. The total estimated cost of depression in China is 51,370 million Renminbi (RMB) (or US $6,264 million) at 2002 prices. Direct costs were 8,090 million RMB (or US$ 986 million), about 16% of the total cost of depression. Indirect costs were 43,280 million RMB (or US$ 5,278 million), about 84% of the total cost of depression. Depression is a very costly disorder in China. The application of an effective treatment—reducing the length of depressive episodes (or preventing episodes) and reducing suicide rates—will lead to a significant reduction in the total burden resulting from depressive disorders. Government policymakers should seriously consider further investments in mental health services. Teh-wei Hu designed the study, analyzed the data, and prepared the text. Yanling He coordinated the study in China, collected the data, performed statistical analysis, and provided interpretation of findings. Mingyuan Zhang reviewed the research protocol and provided interpretation of findings. Ningshan Chen conducted the institutional cost survey and estimated unit costs of services. This study is a project of the SEBoD Initiative, supported by an unrestricted educational grant from Wyeth Pharmaceuticals. Special thanks to SEBoD Steering Committee members, particularly Dr. Norman Sartorius and Dr. Martin Knapp. Thanks to the following participating institutions in China: Guangji Hospital, Suzhou; Beijing Institute of Mental Health; Peking Union Medical College Hospital; Mental Health Center, West China Hospital, Sichuan University; Mental Health Institute, Xiang Ya Second Hospital of Central South University; Tongji University, Tongji Hospital; Beijing Hui Long Guan Hospital; Shanghai Mental Health Center.